We have a proud history of academic excellence. Founded in 1891, UNC Greensboro is one of the three original schools in the UNC system. Today we're part of the 17-campus UNC system — nationally ranked and globally recognized. Our online professors have deep and relevant connections to the workplace. Each is recognized in his or her field, bringing research and industry knowledge to make every course more focused on real-world success. Our faculty is engaged with the community locally and beyond, allowing them to provide valuable insights to career-focused students. Our Career Services Center offers a wide range of professional support that will enable you to explore your options, follow your passion, make informed decisions, and market yourself in today's highly competitive global workforce. By making valuable resources available for undergraduate and graduate paths, the Career Services Center allows students to start preparing for the job market from the first day of classes. From training on presentations and communication to industry employer research, our career support continues through successful job placement. All the details. All in one place. Whether your studies have been online or in a classroom, college requirements and preparations may have changed a bit since your last enrollment. 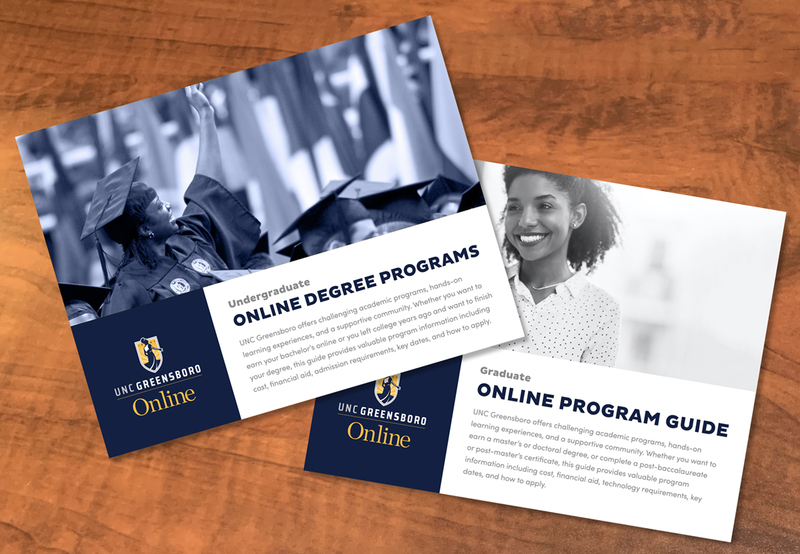 Complete the form to download our complete guide to online degrees at UNC Greensboro that will help expedite your return to a great education.